With 2017 beginning to wind down, Norway’s Nora Holstad Berge decided the curtain should fall on a career to be unequivocally proud of. For the former Bayern Munich defender, there was struggle, smiles and silverware, but always a golden thread, more commonly known as music. 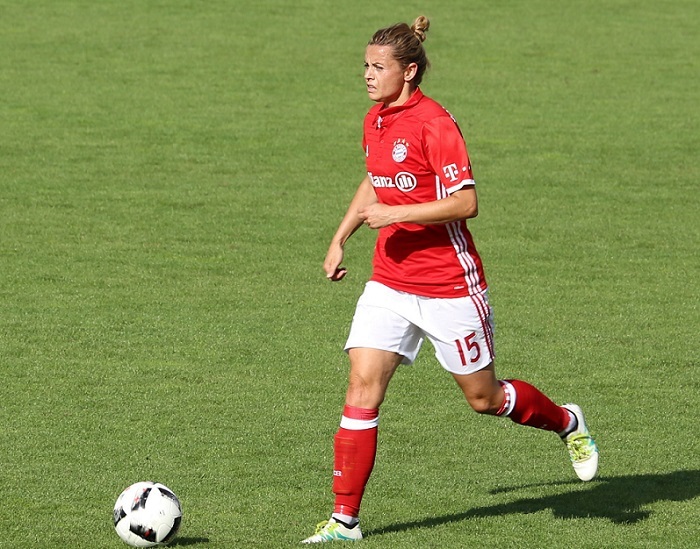 A pair of shimmering Frauen-Bundesliga titles helped make Nora Holstad Berge’s Bayern Munich days truly treasured, though league success was only one of the reasons why. With top-calibre support and friendships, and at a world-renowned club, the Norwegian international’s Bavarian years were something of a deluxe package for a player who had come up in the game through leaner times. Somewhere alongside it in the Sandefjord-raised centre-back’s affections is Norway’s surge to the final of the UEFA Women’s European Championship in 2013. Her country had ruled the land some years before her international career began, lifting the World Cup in 1995, as well as winning the Olympic tournament (2000) and twice being crowned Europe’s best (1987 and 1993). Nevertheless, it can be said with some credibility that they enter this summer’s World Cup in France as an outside shot for glory, which was also the case six years ago. The Swedish-hosted Euro 2013 for Nora and her teammates began in Kalmar against Iceland, taking them all the way north to Solna, and right to the final against perennial heavyweights Germany. Nora had six years as a senior international before her 2017 retirement, encompassing appearances at two World Cups and two Euros, but that run was the standout. Their summer 2013 escapades are now also immortalised in song for those who were there, thanks to an unofficial anthem the team impulsively adopted on their way. It was the second of her career’s four major tournaments, and though the final went the way of Germany by a solitary Anja Mittag goal (with Nadine Angerer’s notable two penalty saves), Norway had beaten them 1-0 in the group only 11 days before. Germany’s first defeat at the Euros for 20 years, it sent Even Pellerud’s side through as group winners and was a game Nora was at the heart of the backline for. The player who struck that decisive effort (with a little help from Elise Thorsnes) was someone Nora has always known to possess the deft touch on a match day. The truth is that not everyone a player shares a dressing room with will have made an indelible impact on their life, or even be someone they remain in contact with in future years. Midfielder Isaksen, however, was one of them for Nora. Having been with Juventus, a knee injury meant that the 30-year-old reluctantly opted to retire recently. Music will always be one great connector for them as friends and erstwhile teammates, which is something Nora has immense feeling for on a personal level, too. “I love music and listen to pretty much everything; German pop like Philipp Poisel, Norwegian rap like Karpe Diem, Eminem, Bastille and Lukas Graham. My favourite decade is the 80s, with artists like Michael Jackson, Guns N’ Roses, U2, Madonna etc. Sibling influence in the sound stakes fits in fluidly with how Nora began in football. At 19, she was a Norwegian league champion, as her Kolbotn team won the Toppserien. That was also where she won the NM kvinner (Norwegian Cup) in 2007, but if you roll it back, say another 15 years, you will come to the true start of it all for her and the beautiful game. “I grew up in Sandefjord, a small city an hour south of Oslo, with my brother and eight-year-older sister. My brother played soccer and after watching his practice at the age of five, I decided I wanted to be a soccer player as well. 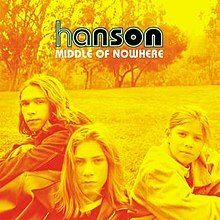 “My first album was actually Hanson. I was in a record store with my dad and brother when my dad told us we could each pick out one album. “I’d never been in a record store before and didn’t have any clue what I wanted, so I was taking my time looking through all the albums. My dad started getting impatient, telling us we were leaving so if I wanted an album, I’d better find one ASAP. In amongst the nonsensical, never-to-be-forgotten chorus, there was actually some pretty sage sentiment in that 1997 worldwide smash, even if it was a little tough to decipher. Unlike the Hanson brothers, Nora may not have quite grown up in a famous family band or group, but expression was everywhere all the same. It came in useful when she made her next move following two years at Swedish club Linköping. “When I joined the Norwegian side Arna-Bjørnar in 2013, all the new players had to perform a song during our training camp in La Manga, Spain. One of my teammates – I believe Jaime Souza – had brought her ukulele, so I borrowed it and sang ‘Skinny Love’ by Birdie (originally Bon Iver). Part of the Linköping sides that achieved two 3rd-place finishes in the Damallsvenskan, Nora lined up in 2011 against such attacking talents as Ellen White, Julie Fleeting and Rachel Yankey, as they took on Arsenal in the UEFA Women’s Champions League quarter-final. Linköping were only eliminated on away goals, by virtue of Katie Chapman’s decisive late effort in the second leg in Sweden. There is one ever-effervescent Swede who sticks in the thoughts that bit more vividly than most for Nora when she thinks of the musically-charged entertainers behind the scenes in her career. Nora did manage to reach the final four of European club competition, and it came while she was still a teenager, with Kolbotn in the UEFA Women’s Cup era. Alongside Norwegian national team names like Solveig Gulbrandsen, Trine Rønning, Isabell Herlovsen and the aforementioned Ingvild Isaksen in 2006/07, they met Umeå. Although they would be beaten comfortably by their Swedish opponents, for a 19-year-old Nora to test herself against world stars in Hanna Ljungberg and Marta was invaluable. Her Bayern team would later also break new ground in Europe, reaching the Champions League quarter-final for the first time in 2016/17. The last-day drama in the league in May 2015, however, was quite something. Unbeaten in the Frauen-Bundesliga that season, Bayern had won their game with SGS Essen 2-0, then had to wait for the result between their two other title rivals, VfL Wolfsburg and 1.FFC Frankfurt. A 1-1 draw in Frankfurt confirmed it for Bayern, who let the celebrations begin at Grünwalder Stadion as the realisation hit them. Thomas Wörle’s team would win it by ten points a year later, with their Dutch goal machine Vivianne Miedema one player who was starting to make an explosive impact. Bayern basked in their title wins on the balcony of the town hall as part of joint-celebrations with the men’s team, and multi-million-selling band Kings of Leon even played an exclusive gig for their closing party. That was a decidedly unique scenario for Nora to witness, with highly commendable dance moves from Robert Lewandowski to throw into the bargain, but what about shows she has seen that didn’t require you to play for Bayern Munich to see?! “I went to a Pink concert in Brooklyn when she toured with her ‘The Truth About Love’ album; that was definitely a highlight. She’s such an amazing artist and performer. When it was time for the lights to go down on her own Bayern show, easy it certainly was not. Nora had joined as the women’s team was taking off, and though she had won titles before, this was undoubtedly a 24-carat chapter in her life. “The best time of my career was definitely with FC Bayern Munich. They were my family and Munich felt like home. One characteristic of a group like that is there will invariably be someone there to bail you out of a potentially tricky situation, like for instance…having to record a song cover. It is a regular question on here to ask which teammate(s) they would tackle this with, though it is admittedly supposed to be hypothetical! For Nora, it is old territory. Back at Kolbotn, she was in the studio with her teammates as they recorded a cup final song (‘Sha-la-la – Kolbotn‘) ahead of their 2007 victory against Asker. If the net was cast further and she could select anyone she has played alongside in her career, it is the midfielder/forward mentioned earlier who would be first on the collaboration hotline. “The former teammate always singing has to be Olivia Schough. She’s always putting on a show, singing and dancing, and she’s an amazing singer! Music adds its own layers of memory to the close friendships we keep. Privately and personally, meanwhile, it knows how to send the lock springing off your emotions, as the words you were feeling but could not find come crashing down. It is a special something Nora could never have quite done without. “Music has always been a huge part of my life. I grew up listening to tapes, CDs, MiniDiscs, mp3s and whatever came. “I especially remember going on holiday, driving to Denmark or through Europe, trying to keep the Discman stable enough to not skip a beat every time there was a bump in the road. As I grew older, music became an important factor for me, both privately and as an athlete. There were conflicted emotions and a dilemma over where to turn next as Nora came to a crossroads during 2017. Hopes were high for Martin Sjögren’s Norway as they embarked upon the Euros in the Netherlands, but they would feel the sharp end of how cutthroat a tournament can be. On a superb Sunday to set the competition going in Utrecht, Shanice van de Sanden’s goal set the hosts on their road to glory, while Norway would not ever recover. A 2-0 loss to Belgium and a 1-0 to Denmark followed, with collective disappointment and individual dejection as they bid farewell at the group stage. For Nora, although she was only 30, a strong Euro 2017 showing would likely have given her the comfort and satisfaction to leave the game on a high. As it was, she felt compelled to roll the dice one more time. “I considered stopping playing as I decided not to extend with Bayern, but then I didn’t feel quite ready after we under-performed at the Euros. I didn’t really want to end on that note, so I decided to join the North Carolina Courage for the remaining months of the season and take it day by day. “After a couple of months, it became clear to me that I was somehow content. I was happy with the experiences I had had, and I was ready to leave the game I loved. That said, America was another worthy few pages to add into the life and times of Nora Holstad Berge. She had spent holidays in the U.S. and even had family members there, and she was announced as a new addition for North Carolina while Euro 2017 was in its latter stages. Head coach Paul Riley praised her versatility in being able to play defensive midfield as well as defence, and he spoke highly of her composure and the ‘massive physical element’ to her game. Let’s not forget as well she has come up with more than a goal or two in her career! She had encountered some hamstring trouble in her career’s final year, noting as well that the training regime in Germany had been very demanding on her body. In the National Women’s Soccer League (NWSL), Nora appeared in a 4-0 win down in the Texan heat at Houston Dash, as well as in the 3-2 home loss to Orlando Pride. The Courage went all the way to the Championship game, ultimately losing 1-0 to the Portland Thorns in mid-October. Nora announced her retirement just over a fortnight later, but she feels no regrets at all at deciding to add that last track to the wholesome LP that was her playing career. “NCC was a different experience to what I was used to, both on and off the field. The American culture is different, the playing style is different, and the conditions are different. “First of all, I find the playing style less tactical and with more focus on power and speed, although Paul is a tactical coach, probably making the switch softer for me. I was a player who loved playing shorter passes, combining and playing my way out of tight situations. “In the U.S. you will use speed and one-v-one skills to a greater extent, meaning you have to rely less on teammates helping you out of situations. That was a transition to me, as I was used to having short options. “Furthermore, I needed time to adjust to the heat, which was extreme at times. In Europe, we’re not used to that extreme humidity, so that was another factor being different from what I knew. The former FK Larvik youngster has since assumed the role of Norwegian abroad again. She is with a new team, but there are no bleep tests required now. How about that ‘other life’ then? “I’m living in Switzerland with my partner and working for a recruiting company called Hays. I worked six months for Tesla when I first came here, in sales, and then I decided to change path in October last year. She made her step back from the game at a time when there is perhaps another lyric reverberating – ‘yes finally the tables are starting to turn.’ She can reflect having played her part and then some in accelerating women’s football. In a game where the ones with the least choice are typically the players, she got the final call on her career. There is one last match to play here, though. In the (fantasy) 5-a-side arena for this one, she needs some former teammates to help bring the goals, a crucial challenge or two, and the enjoyment that first had her hooked. It is never really all that fair to ask a player to narrow their career teammates down to four, so the disclaimer here in this regular final question is that it is just a sample line-up, from the many worthy choices they could make. It is a tantalising selection she comes up with. 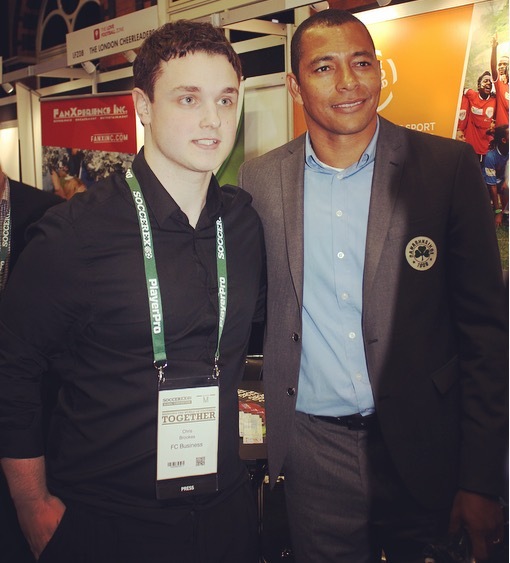 “For a 5-a-side game, I would pick Sofia Lundgren – an amazing goalkeeper who played on Linköping with me. As technical as a field player, a leader who takes responsibility, and amazing reactions. “She’d be my captain and a 5-a-side game would be her element! Caro Hansen (forward) – probably one of the most technical players Norway has ever seen. “I don’t think anyone could beat her on small surfaces. Debinha (midfielder) – for a 5-a-side game, you can never go wrong with a smart, technical Brazilian. “She somehow always manages to keep the ball and I think she would serve Caro amazing balls. Gina Lewandowski – with so many technical and offensive players, I would need someone helping me in defence.